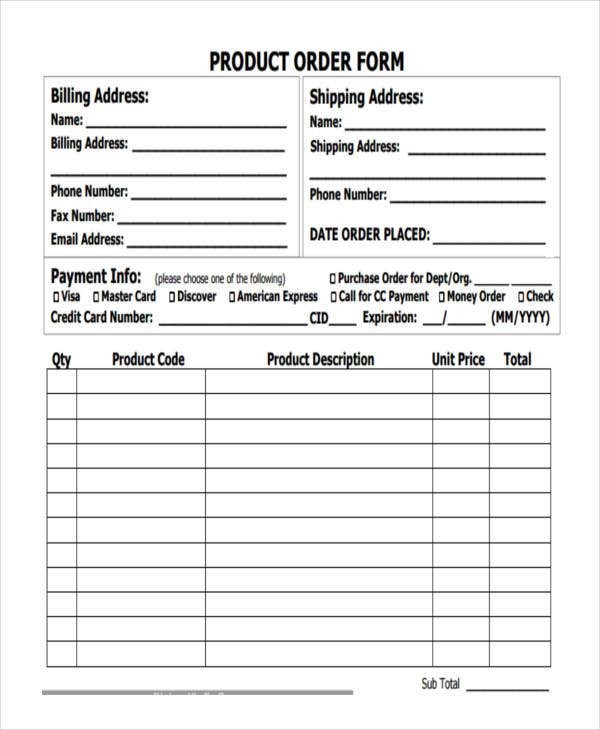 A product order form is used to inform businesses about the specific needs of customers. 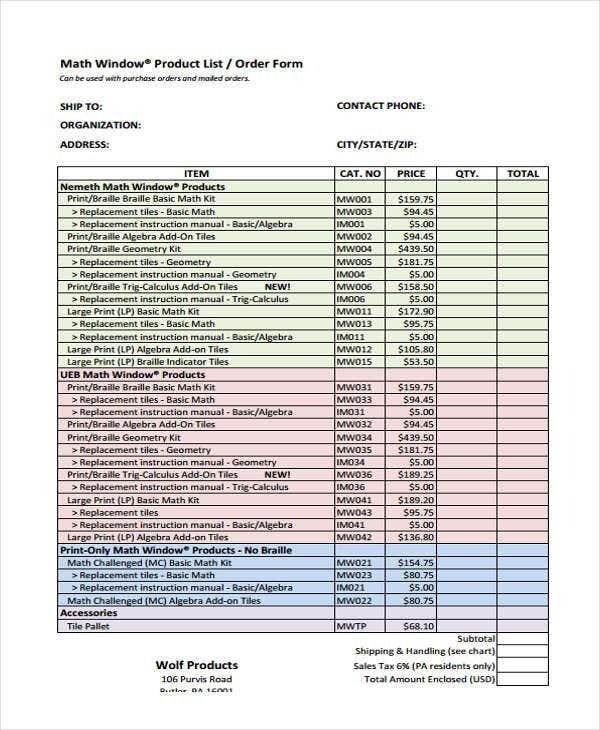 It includes information about the items and/or services that should be provided by the business, the description of each item, and the amount that should be given by a customer in exchange of the goods from the seller. 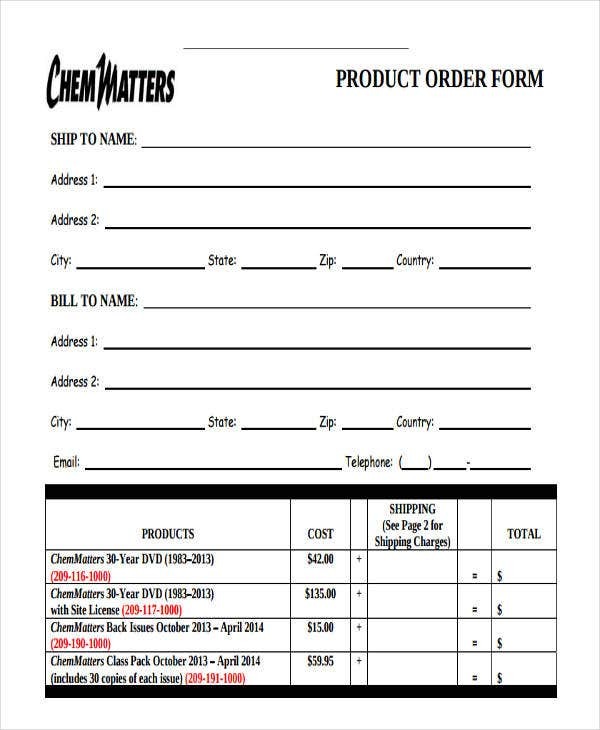 You can use an Excel order form when creating a specific purchase order form or a multiple order form. Make sure that the document that you will come up with is complete with all the details needed to be known by the entities involved in the purchase transaction. 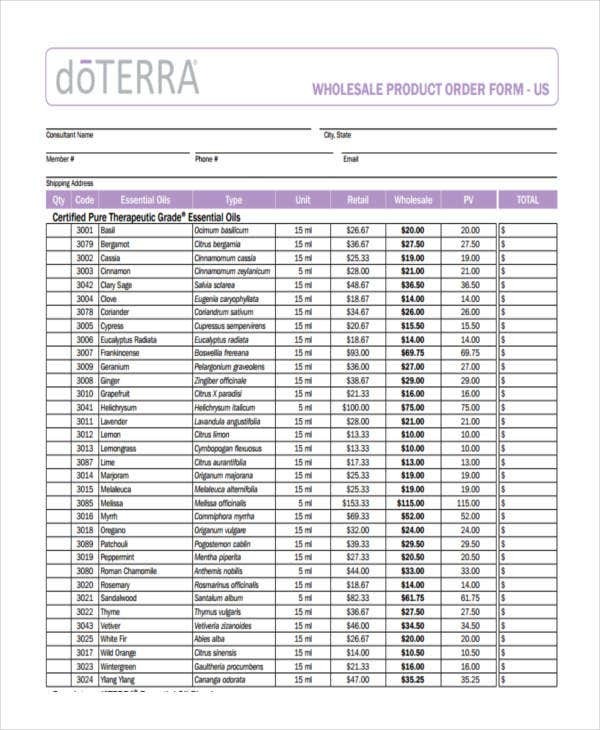 You can do just that by referring to the samples and templates of product order forms in Word and PDF that we have put together in this post. Use a header that includes the supplier of the medical products and basic information about the business. After the header, place spaces where you can put the name of the client who needs the medical products. 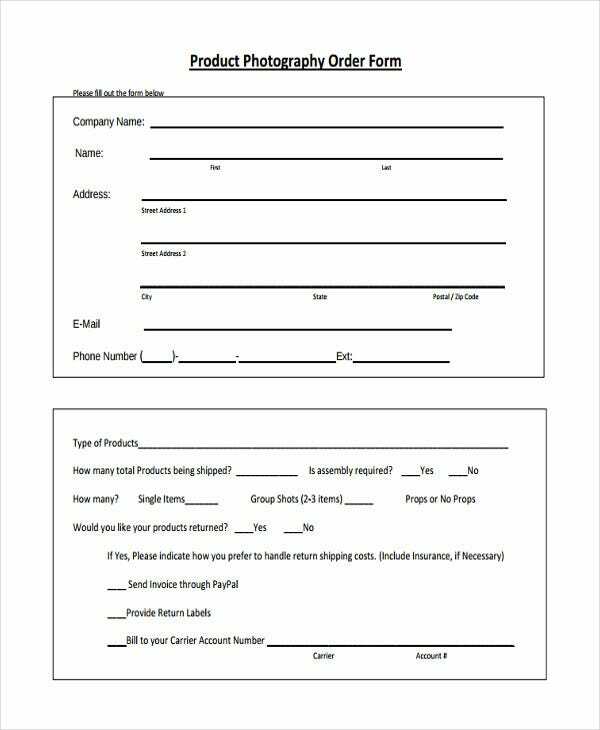 Provide the total amount of the purchase at the bottom part of the medical product order form. Know the products that you would like to display as items for sale on a website. 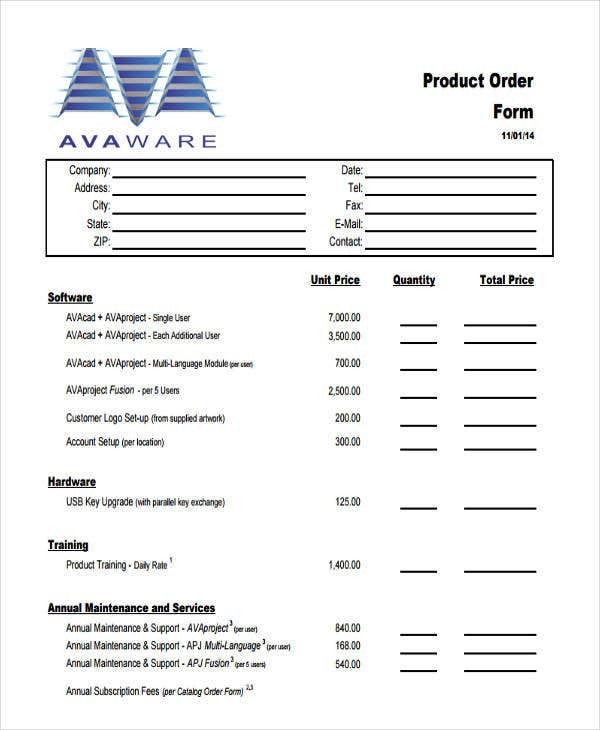 Create a product catalog form describing the products that you offer. Produce appealing visual content to get more people to be interested in what you offer. 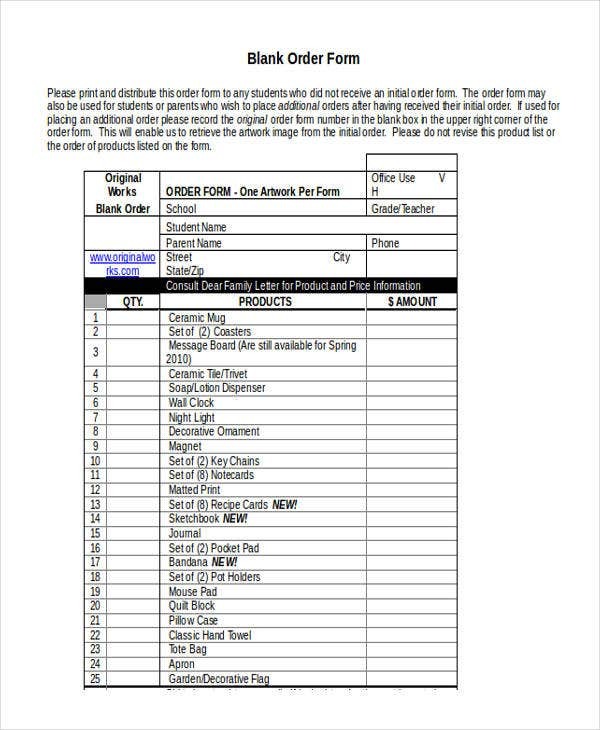 Create an order form template initially stating the title of the website where the items can be bought. 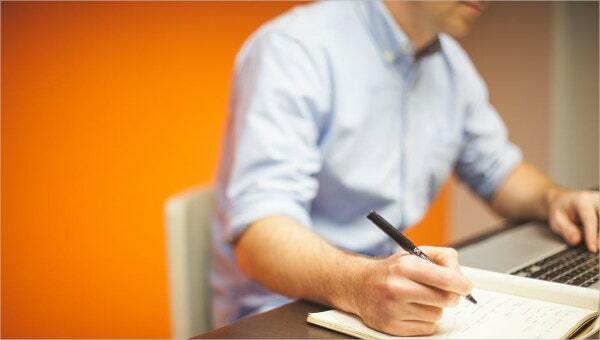 This will then be filled by the orders that your client will place through the help of a product catalog form. Design the e-commerce product catalog form and add more information that you think can be helpful to widen your market. Refer to samples and templates of free order forms as it will help you to be aware of the things that you need to remember when curating this document. 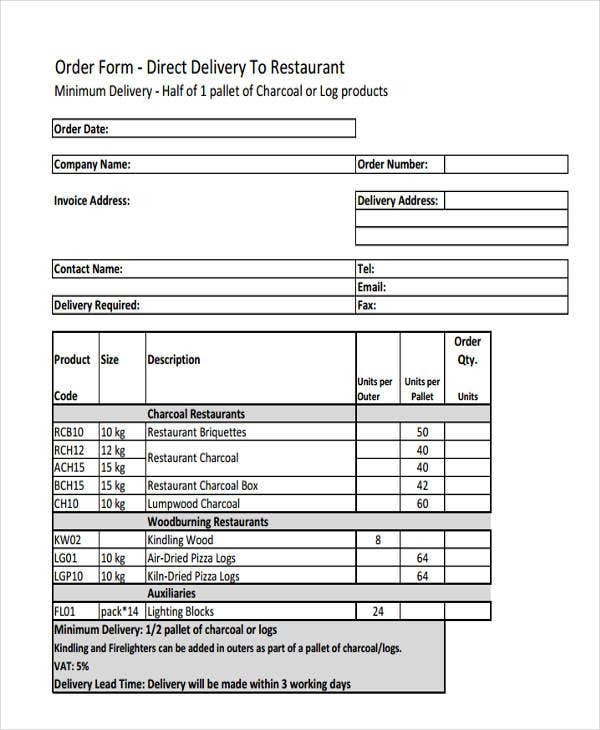 More so, referring to readily made order forms can help you better your business’ order form. Identify the kind of order form that you want to have. This will vary on the operations and nature of the business where the tool will be used. 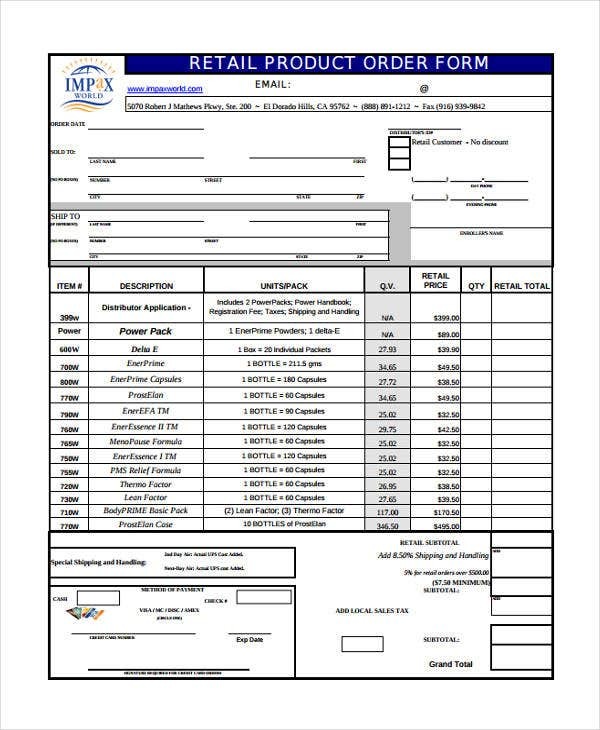 There are internal order form samples and there are also business-to-business order form templates, which are only a few of the options that you may select when creating an order form document.